Grandparents mean in-laws, which mean mothers-in-law and daughters-in-law. 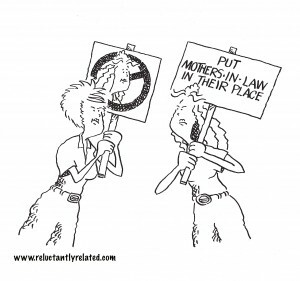 I know I’ve said it before, but it remains true – the mother-in-law/daughter-in-law relationship is the most critical relationship in any family system. My current research is proving this out. 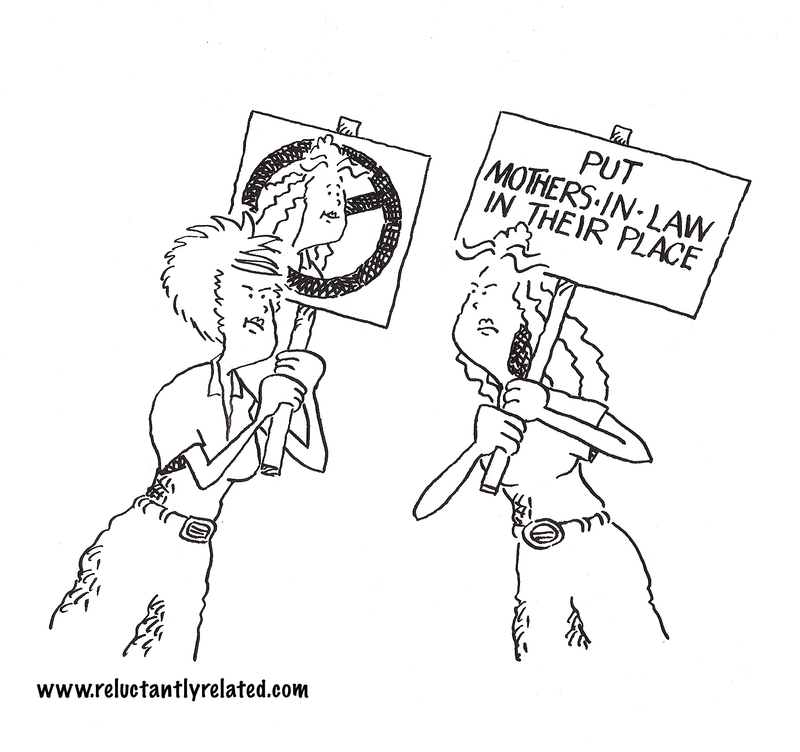 When a mother-in-law and daughter-in-law do not get along it affects everyone in the family. Whether it’s a father-in-law, husband/son, daughter-in-law, brother-in-law, sister-in-law, or children/grandchildren, every family member or in-law is impacted. People often feel the need to take sides – whether openly or in a quieter, more subtle way. Regardless, no one is immune from what is going on in this relationship. The father-in-law (MIL’s husband) is impacted because he sees his wife hurting and in pain. The sister-in-law (MIL’s daughter) is impacted because more than likely the MIL talks to her daughter about her struggle. This may not only affect her relationship with her sister-in-law, but also her brother. The other daughter(s)-in-law/sisters-in-law (MIL’s other sons’ wives). When one daughter-in-law doesn’t get along with her mother-in-law, she often commiserates with the other daughters-in-law – it is often a common bond they have with one another. The brother(s)-in-law (MILs other sons). Although he may try to stay out of the mess between his sister-in-law and his mother, if it in some way affects his wife he will get involved – again as a way to shield her from any pain or hurt. He may also get upset with his brother if the sister-in-law (brother’s wife) is causing too much havoc in the family. The husband/son is impacted because it is his mother and his wife, which puts him right in the middle of what is going on between them. Children/Grandchildren are impacted because they love their mom and they love their grandmother (remember kids see grandparents very differently than you do – it’s their grandma. Their relationship with her is typically nothing like the relationship she has with you.) Children/grandchildren don’t understand the issues that are being played out, they only notice the behavior you both display, which can be confusing. They also are learning – from both grandmother and mother – the way to treat people who matter to you. No matter what the issues may be between the mother-in-law and daughter-in-law everyone in the family knows about them. Unfortunately each member of the family comes into the situation from their own perspective – meaning their own personal history and emotional baggage – and as a result it is difficult for any one of them to remain neutral. These other in-law relationships become colored by what the mother-in-law and the daughter-in-law do and say, which then keeps the whole “family pot” stirred. 1. Recognize that this is happening or may happen. Recognize that actions (or no action) have consequences – for you and other people. 2. Take a step back, take a deep breath, and look at the bigger picture. 4. What can I do to start to make things better – for me, my in-law, and the rest of the family? No one wants to believe they are directly or indirectly hurting other people, particularly people they care about. Unfortunately that is exactly what you are doing. As unintentional as it may be, you do end up hurting the other people in your family who love you. Give it some thought. Whether you feel it is your mother-in-law or your daughter-in-law who is really causing the problems, you have the power to turn things around.